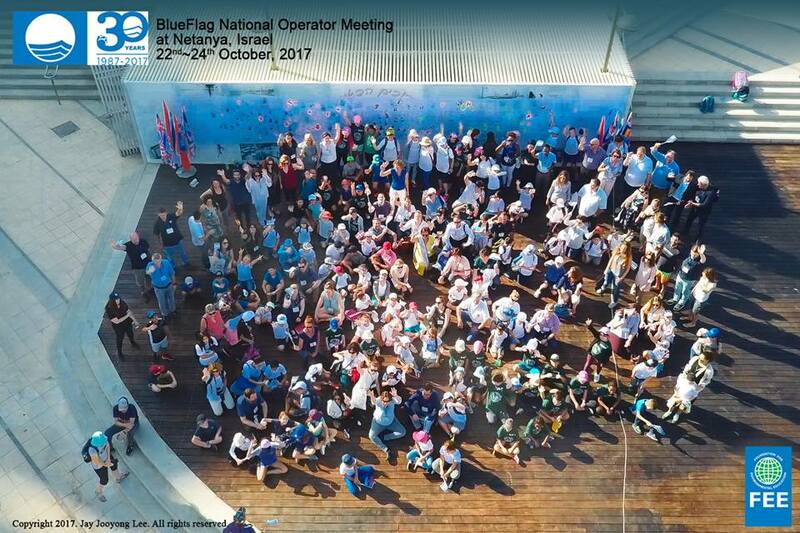 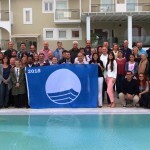 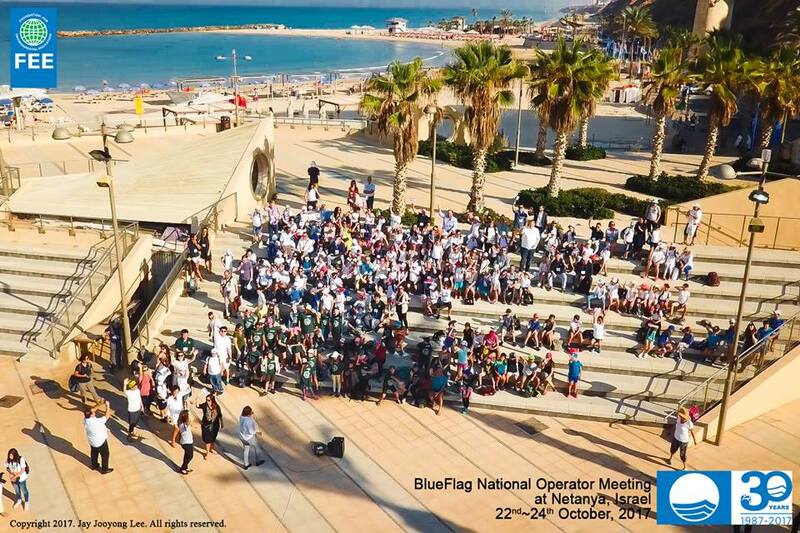 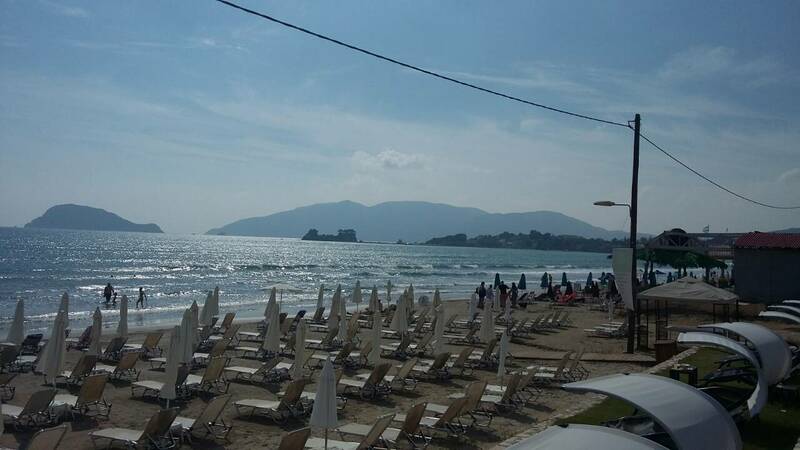 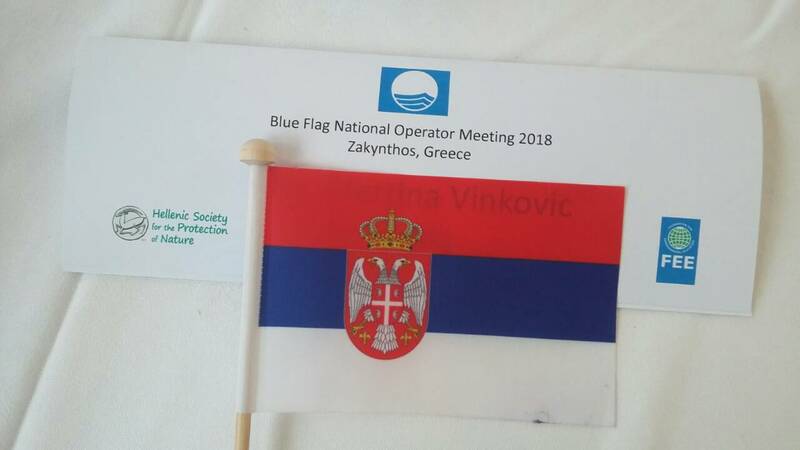 October 2018: The Blue Flag National Operator Meeting 2018 has officially started with its opening ceremony in the presence of the Greek Minister for Tourism. 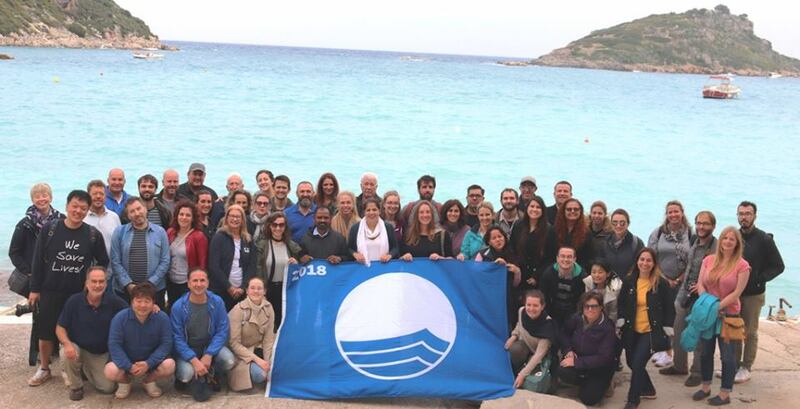 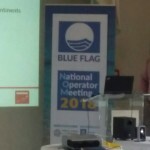 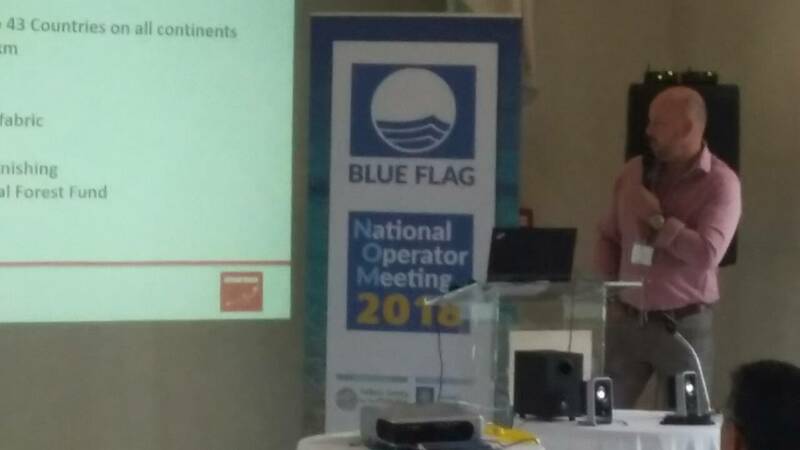 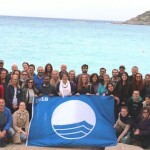 Two days meeting of Blue Flag National Operators all over the world, raise the issue how to deal with obstacles and how to be more active in protected beaches,marinas and sustainable tourism boats. 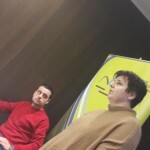 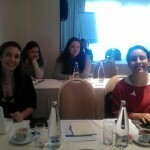 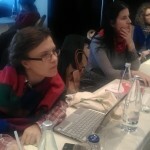 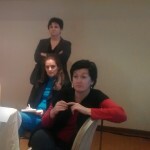 EASD representative at Meeting is Martina Vinkovic. 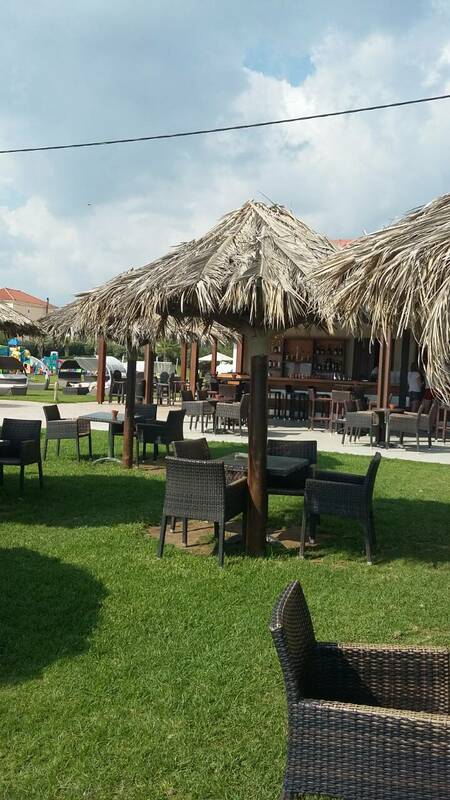 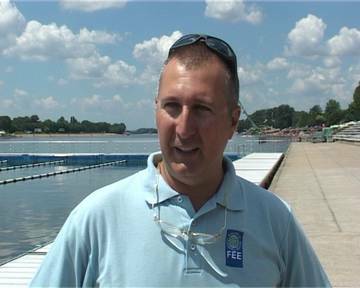 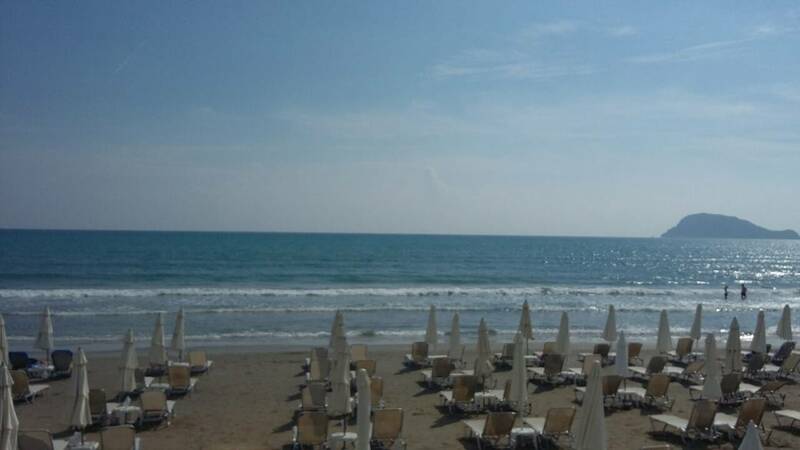 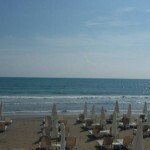 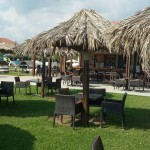 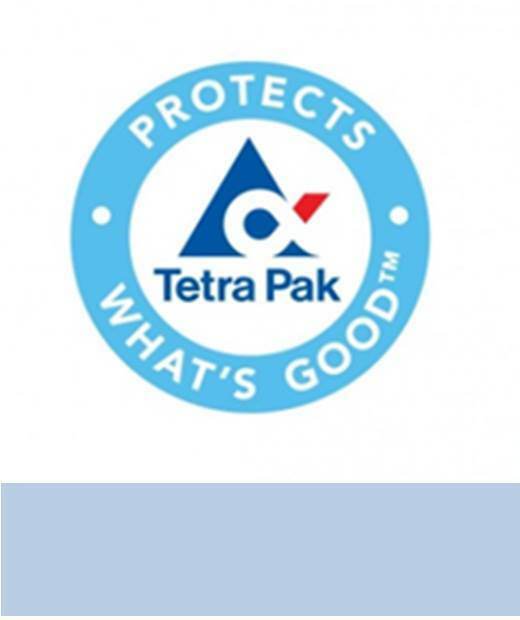 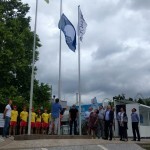 To note, in Serbia we have only one Blue Flag site: Beach Ada Ciganlija – Savsko jezero. 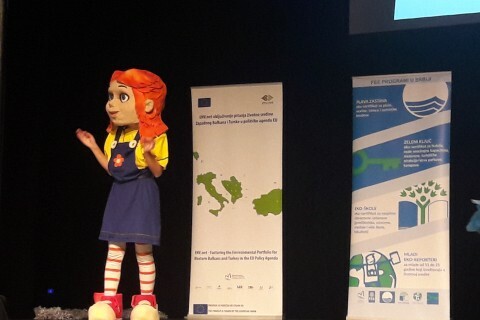 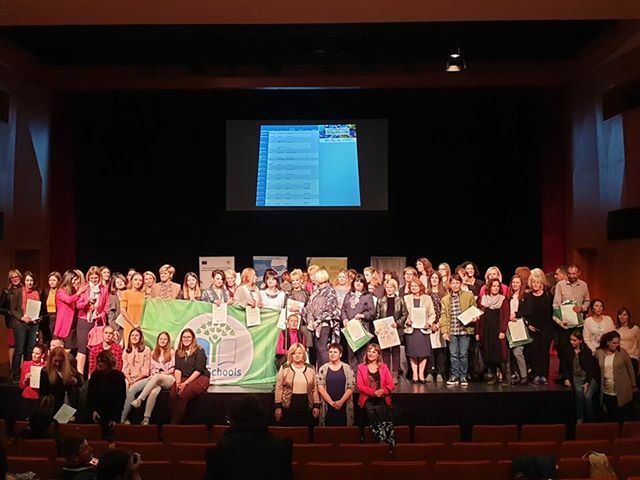 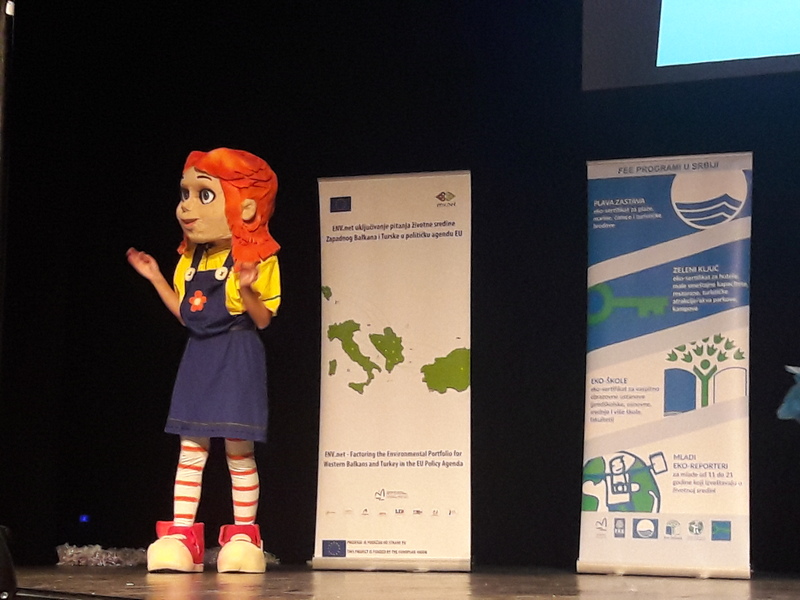 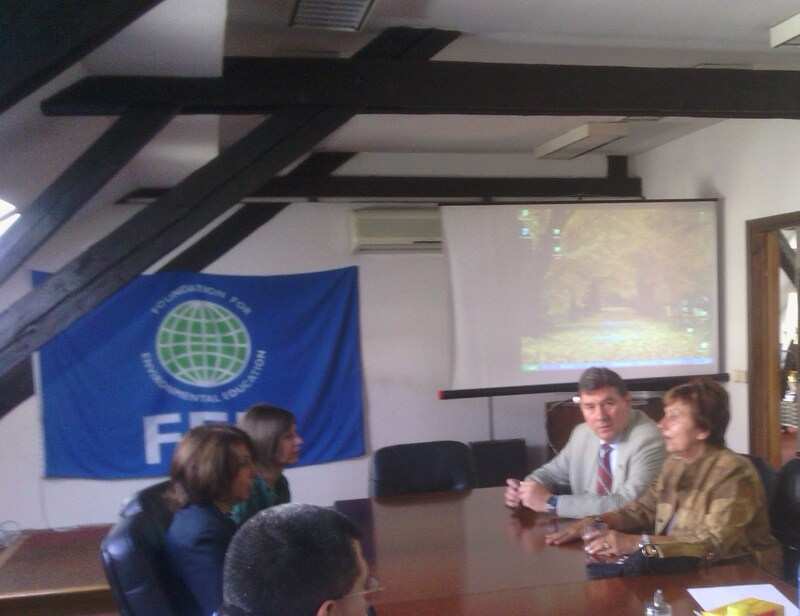 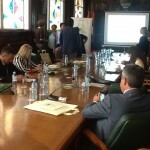 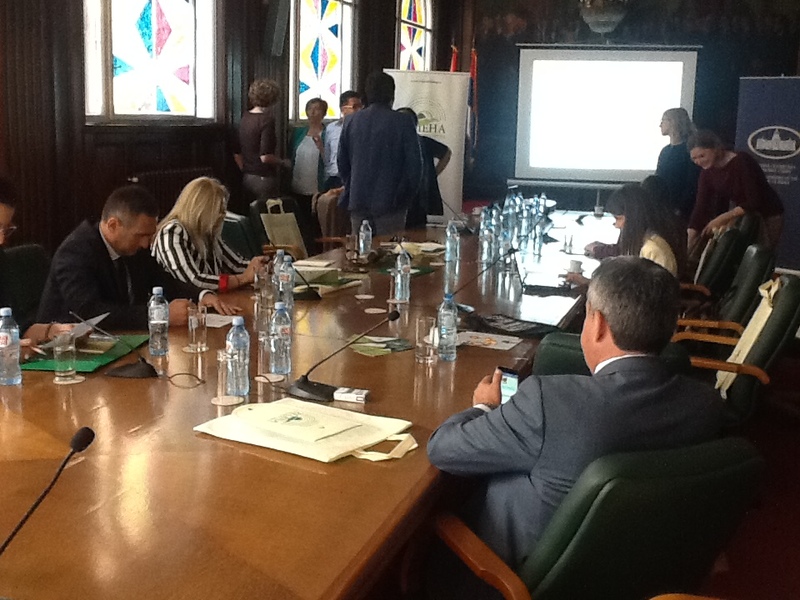 On October 8, supported by Municipality Gornji Milanovac, EASD as Nacional Operator for International Eco-Schools Program, organised yearly national meeting of Eco-schools coordinators. 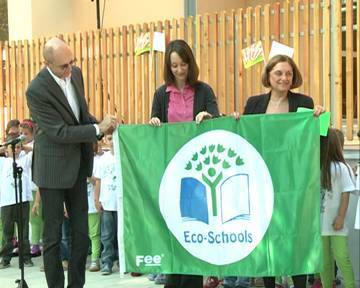 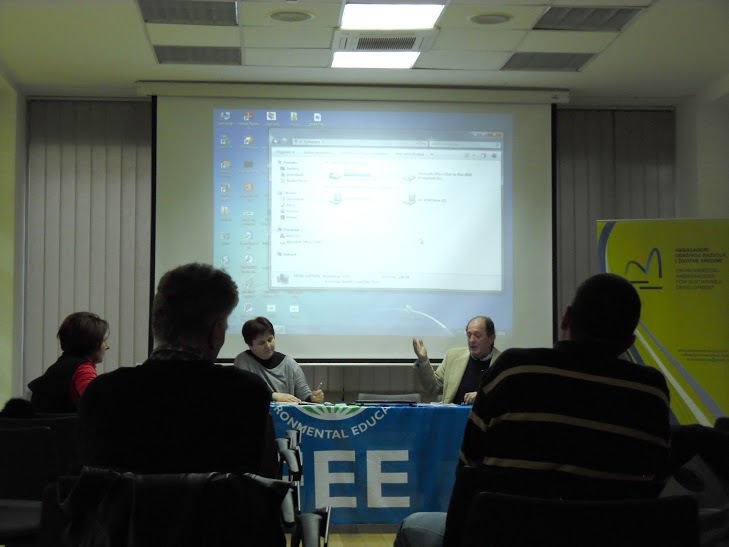 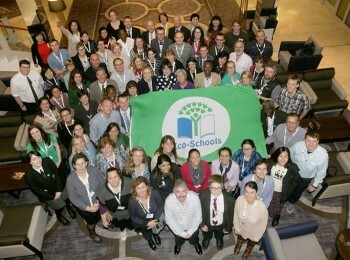 To note that now in Eco-schools network in Serbia are more than 100 educational institutions; Network is coordinated by EASD. 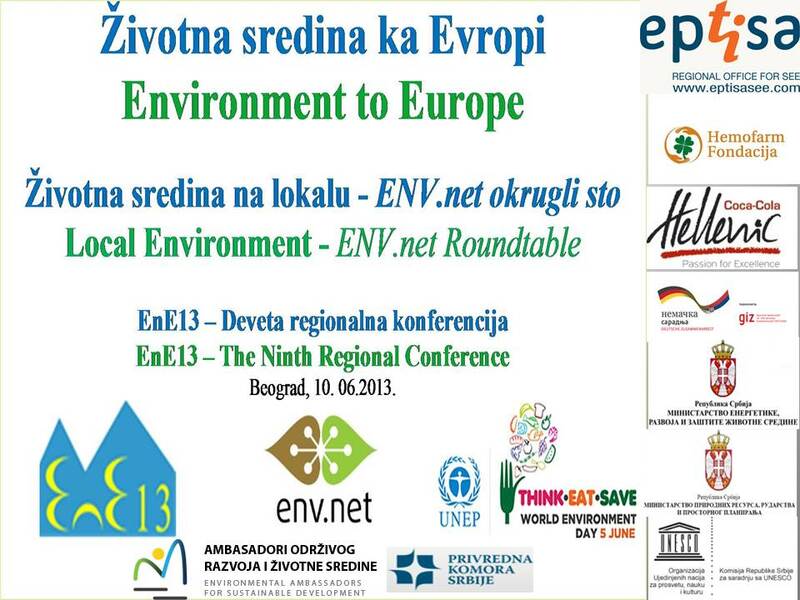 Pollution is a universal challenge that does not respect national boundaries. 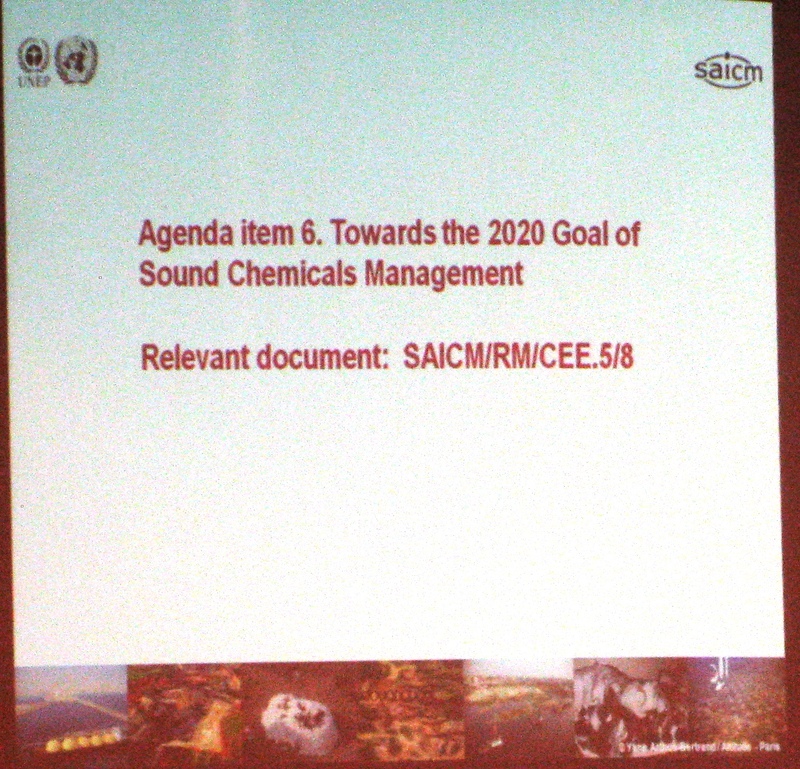 Pollution kills millions of people every year. 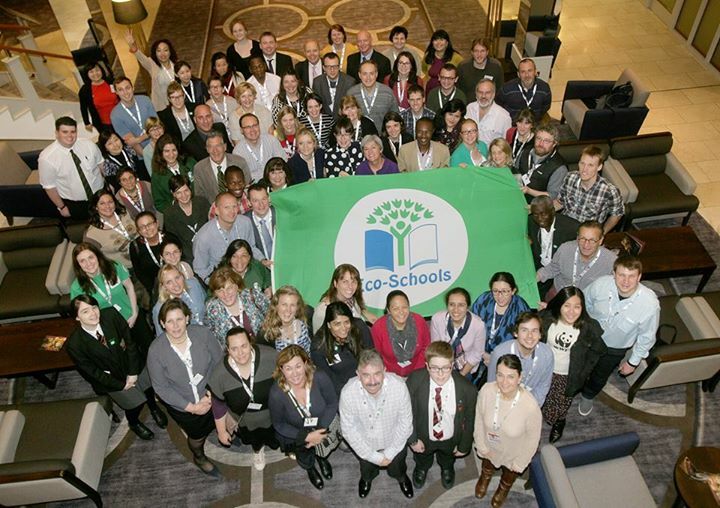 We have a responsibility to act. 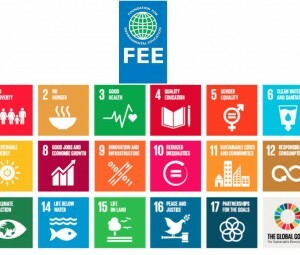 Governments, businesses, civil society, and individuals must all be part of the solution. 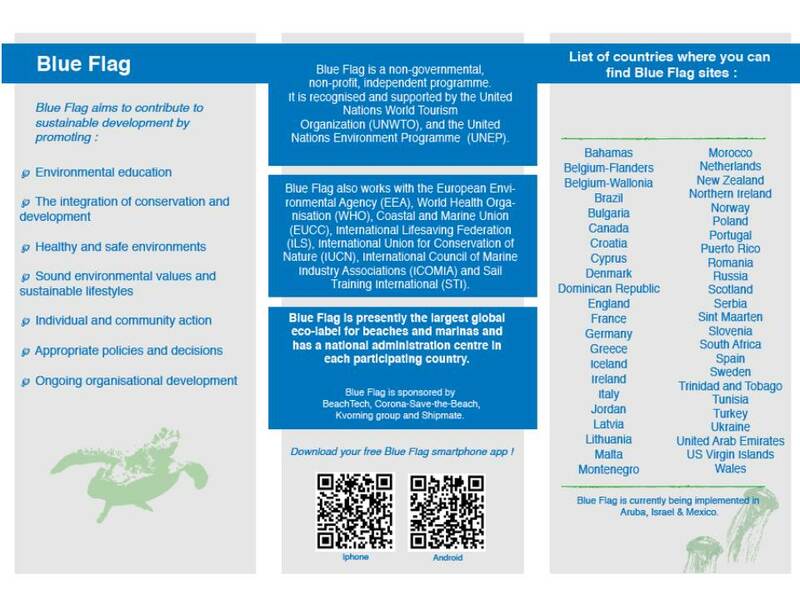 Everyone can start by signing the Beat Pollution Pledge ( look also at a brief guide for civil society organisations that wish to engage in the #beatPollution campaign ) EASD invite businesses, individuals, government and local governments, and civil society organizations to join us in making concrete voluntary pledges to clean up the planet. 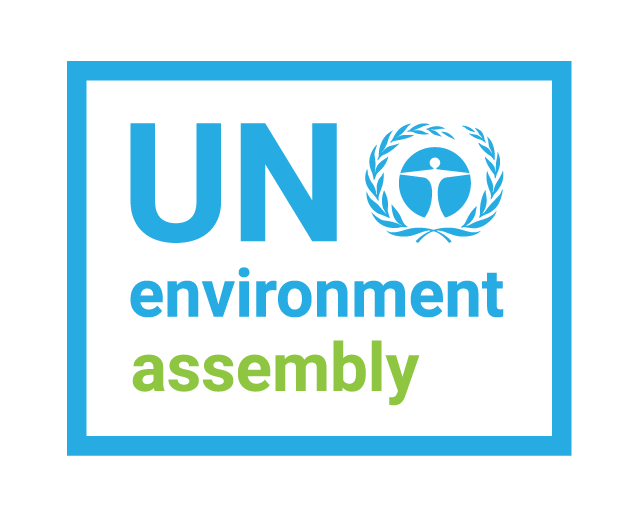 All of these pledges will feed into the formulation of the Environment Assembly’s Clean Planet Pledge and serve as critical fodder for the discussions that will take place at the Assembly. 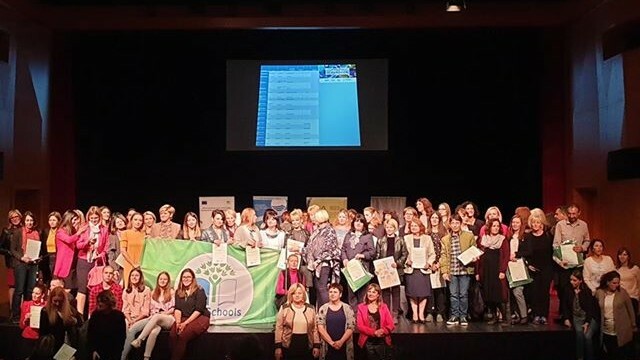 You can do more! - Global Major Groups and Stakeholders Forum organized by Major Groups and Stakeholders accredited to UN Environment (Environmental Ambassadors is accredited) . 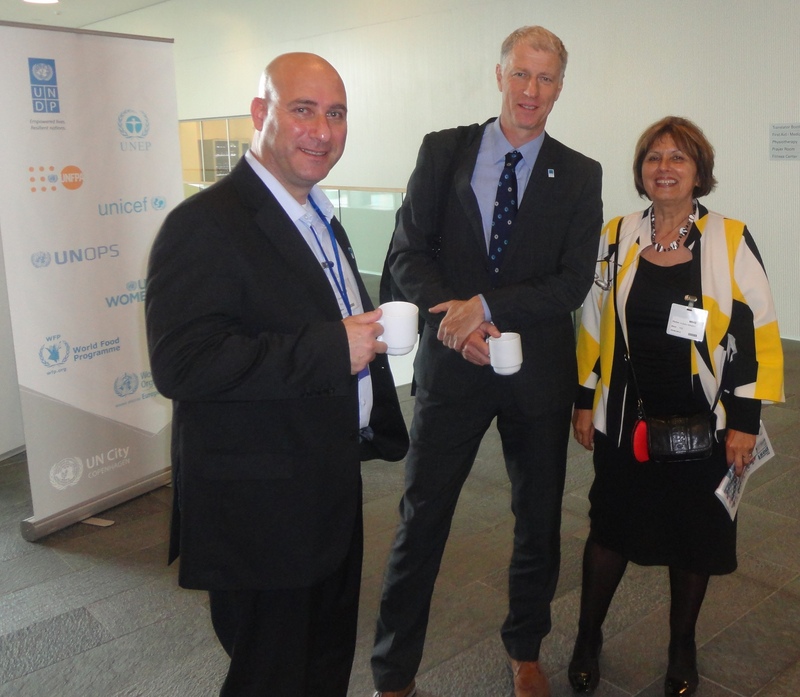 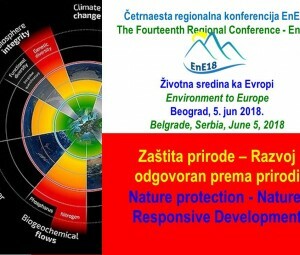 - Science, Policy and Business Forum – UN Environment will hold its first Science, Policy and Business Forum on the environment under the banner Science for Green Solutions. 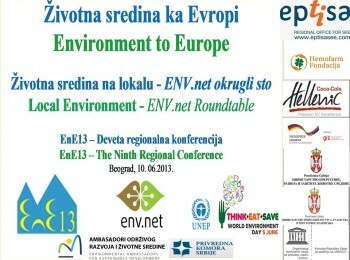 The Forum will consist of roundtable and interactive thematic discussions between leading scientists, policymakers, and leaders of private sector and civil society. 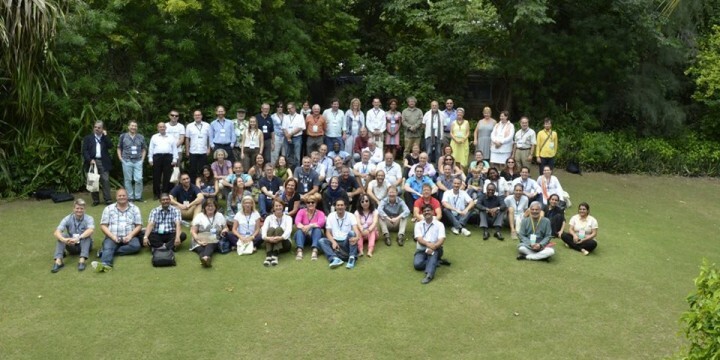 It provides unique opportunities to promote solutions driven by science to address our planetary challenges and build the alliances necessary to implement them and achieve the 2030 Sustainable Development Agenda. 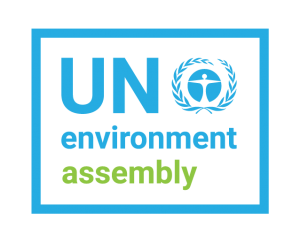 Environmental Ambassadors representative will participate at UNEA3, with focus to Science for Green Solutions. 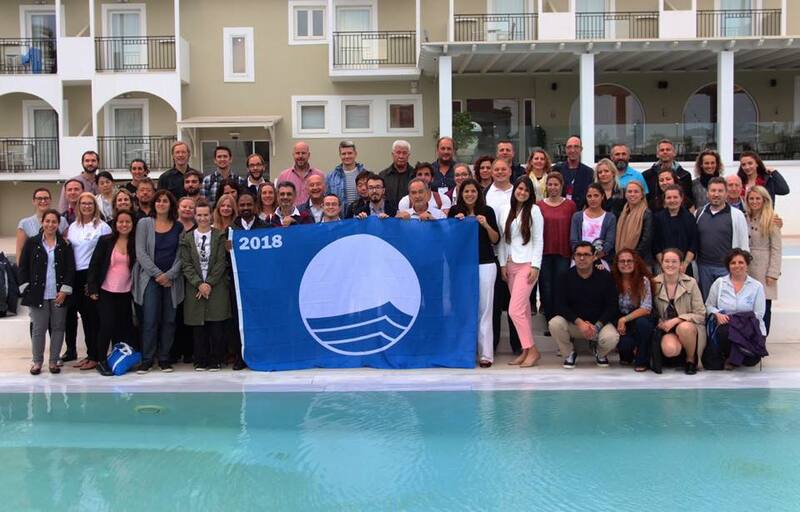 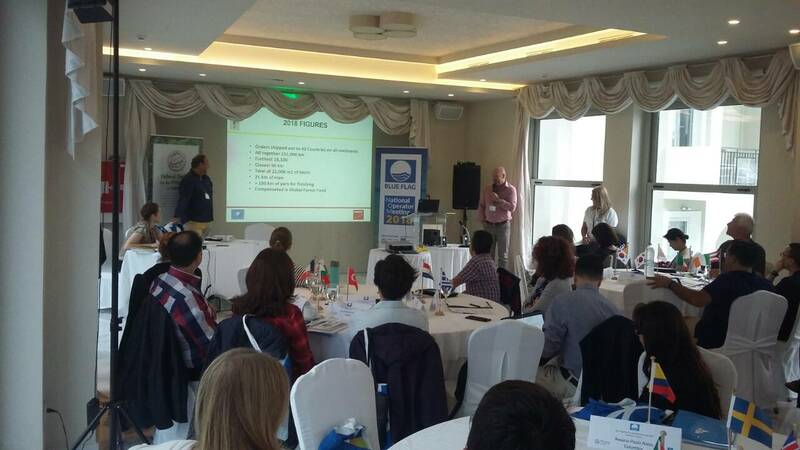 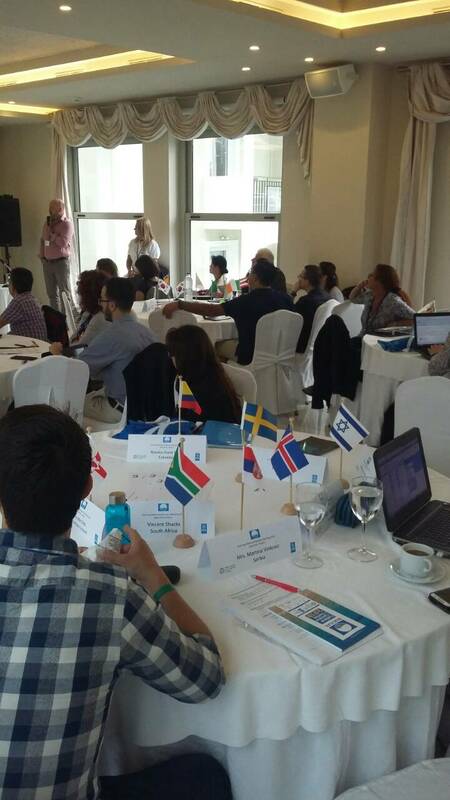 Green Key National Operators from 39 countries as well as Green Key’s corporate partners participated in the Green Key National Operator Meeting on 27-30 March 2017 in Athens. 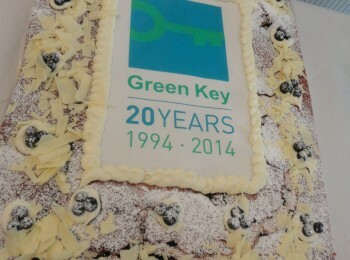 This year Green Key National Operator Meeting is dedicated to the International Year of Sustainable Tourism for Development. 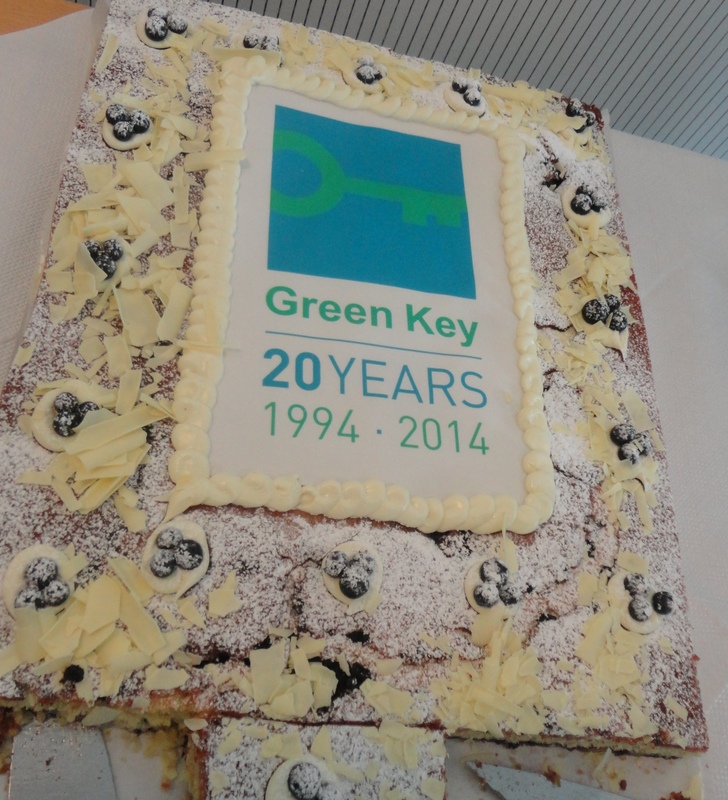 The Green Key National Operator Meeting is an annual event where the status and developments of the Green Key programme are discussed. 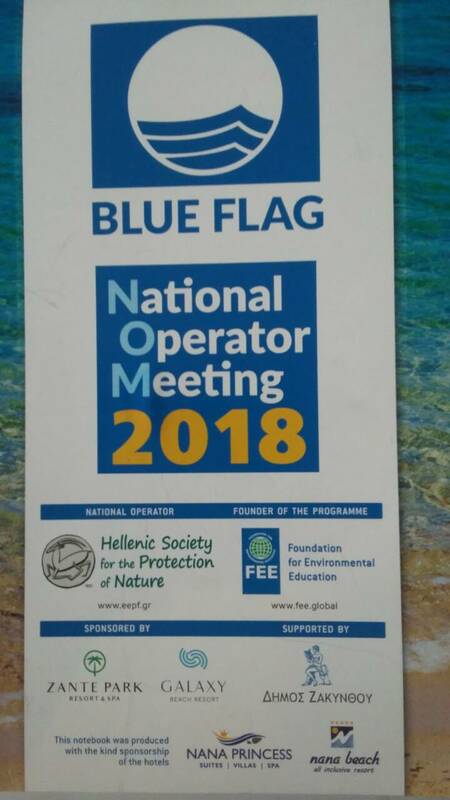 As the UN designated 2017 as the International Year of Sustainable Tourism for Development, the NOM was dedicated to the celebration of this special year for sustainable tourism. 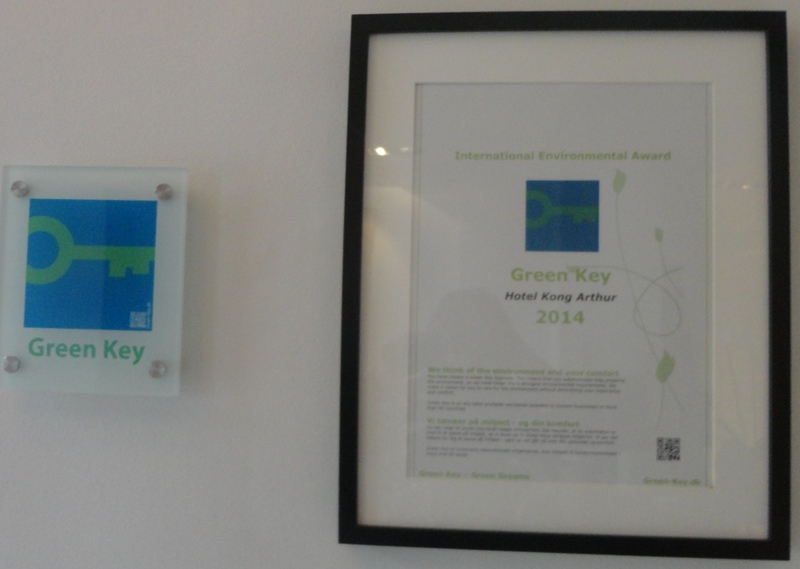 Sustainability lies at the heart of Green Key, and with each establishment joining the programme, Green Key helps transforming the tourism sector into a powerful tool for positive change. Tourism providers and tourists alike are becoming more and more aware of the need to change everyday habits to protect today what we would like future generations to enjoy tomorrow. 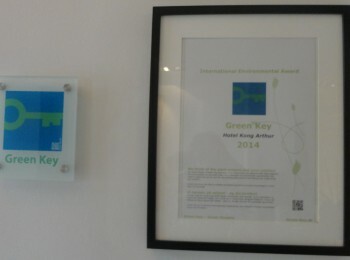 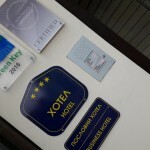 This is why not only the number of Green Key awarded sites is growing year after year, but also the tourists’ awareness of the ecolabel. 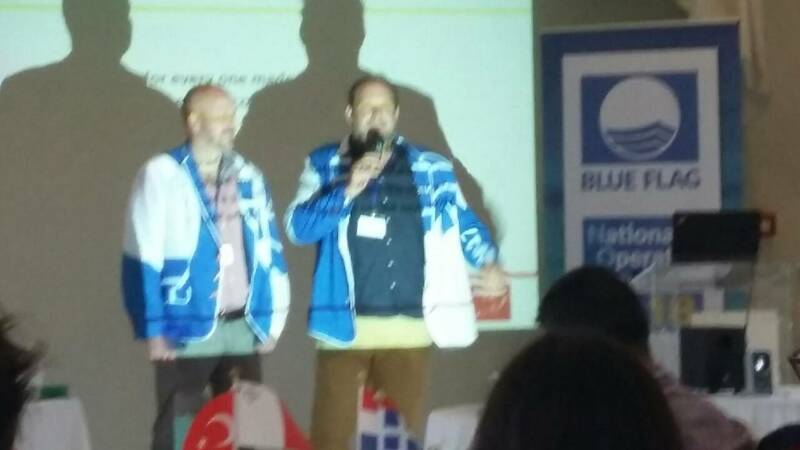 During the National Operator Meeting Green Key International presented the planned activities to celebrate the IY2017 and encouraged all members to join the celebration in their countries all over the world. 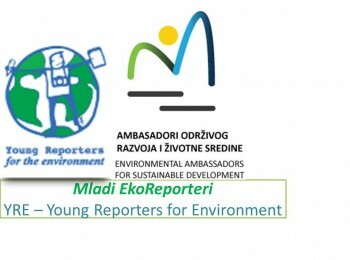 Green Key is actively participating in the IY2017 both through the daily work of the programme , but also through activities that will be specifically dedicated to the IY2017 this year. 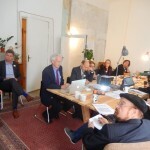 One of them will be a best practice competition that will highlight the contribution Green Key awarded sites are making to the sustainable development of their destinations. 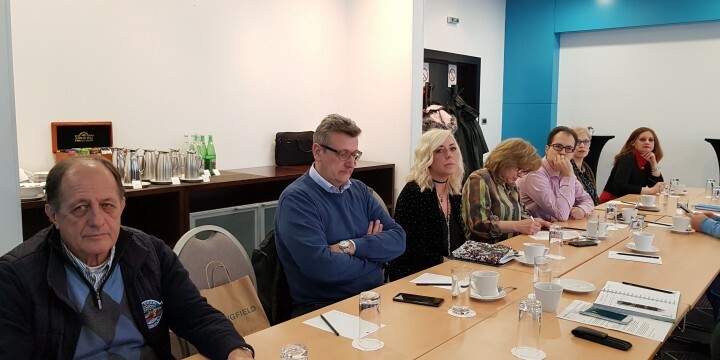 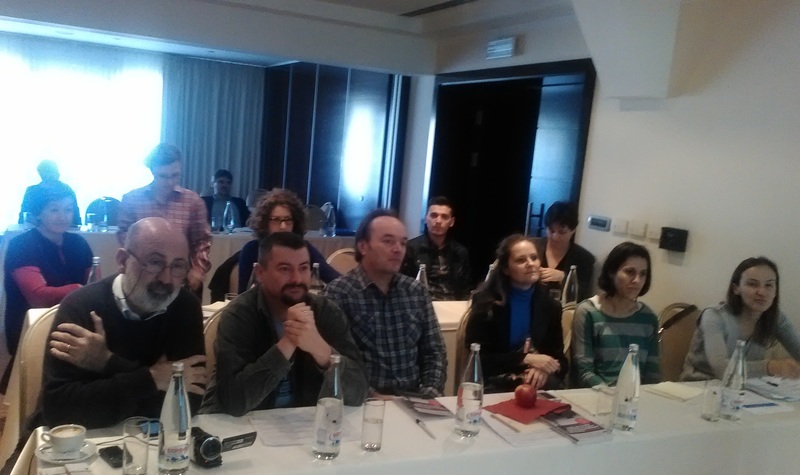 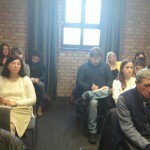 EASD President Aleksandra Mladenovic participated at this meeting. 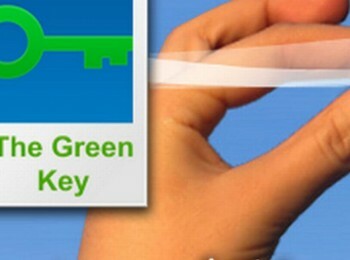 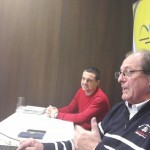 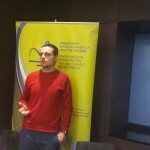 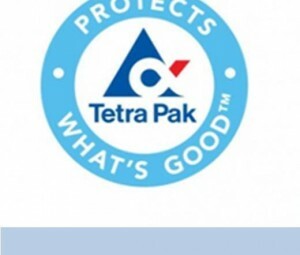 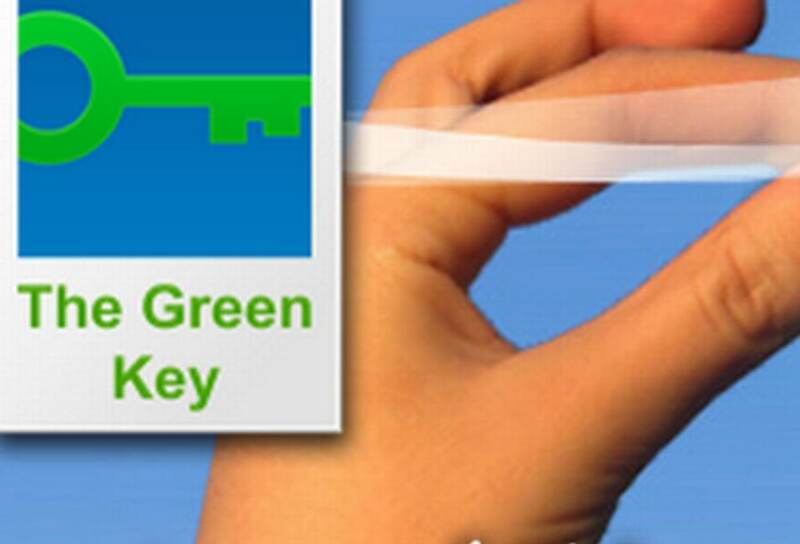 EASD is National Operator for Green Key in Serbia. 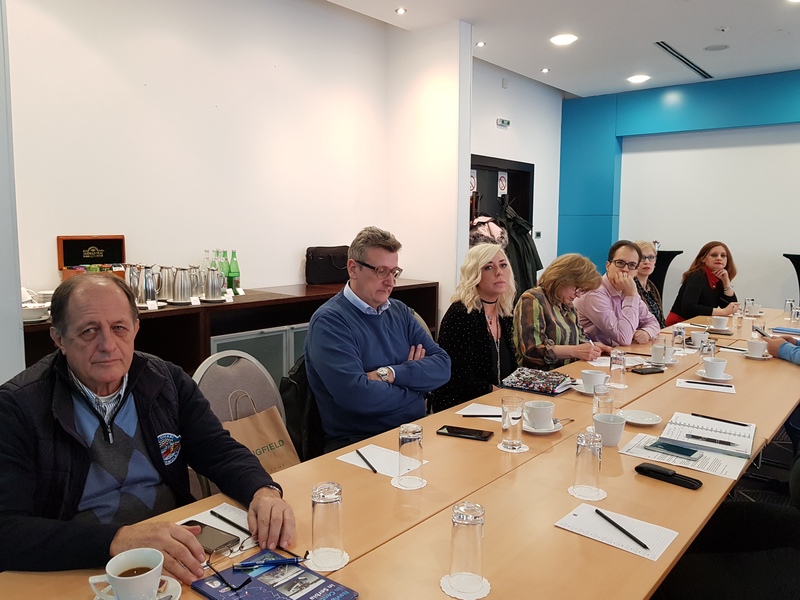 On the session of EASD Council (Assembly) held on March 9, 2017 Aleksandra Mladenovic is elected for President. 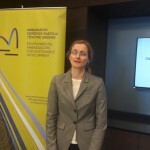 Aleksandra has an in depth knowledge of and high commitment for environmental issues. 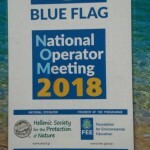 From 2015 Aleksandra is engaged by Environmental Ambassadors of Sustainable Development on FEE programs – Foundation for environmental education (as National coordinator of the Eco-Schools and Blue Flag programs). 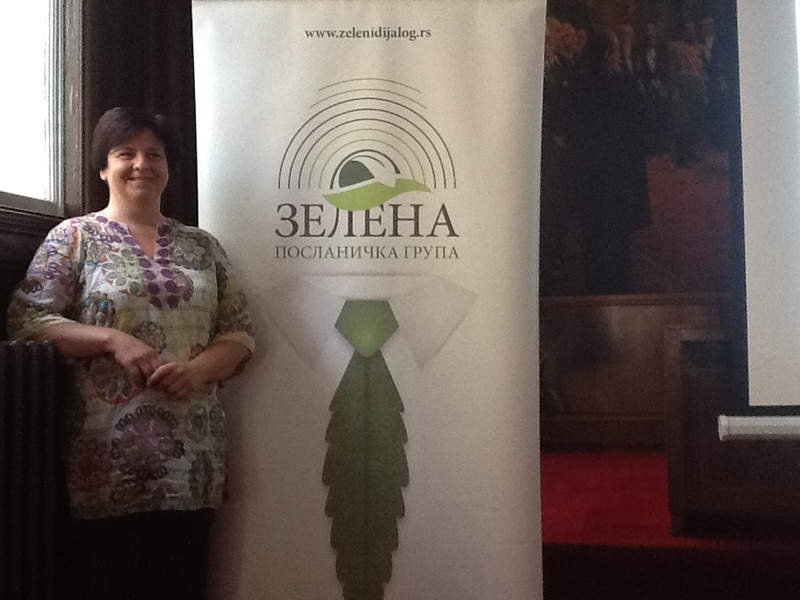 She holds a master’s degree in biology, acquired at the Faculty of Biology, University of Belgrade. 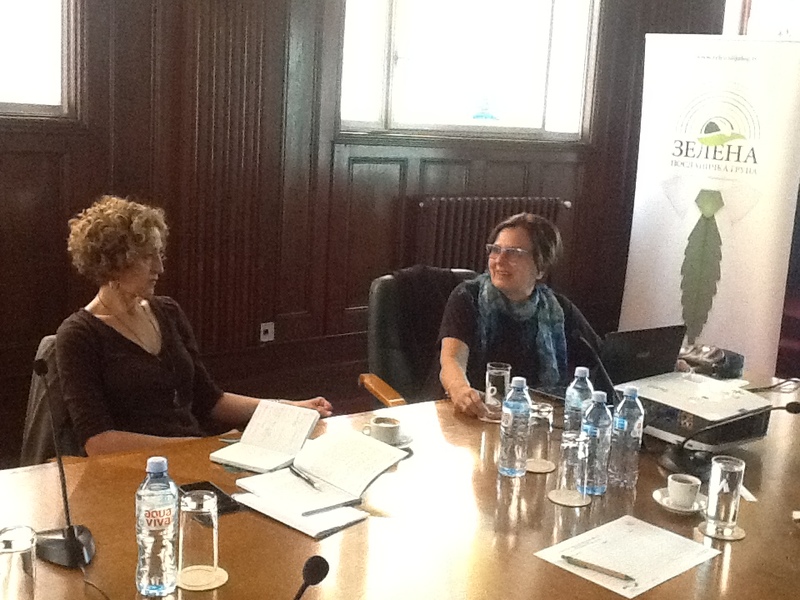 The master thesis was related to animal ecology and biodiversity issues. 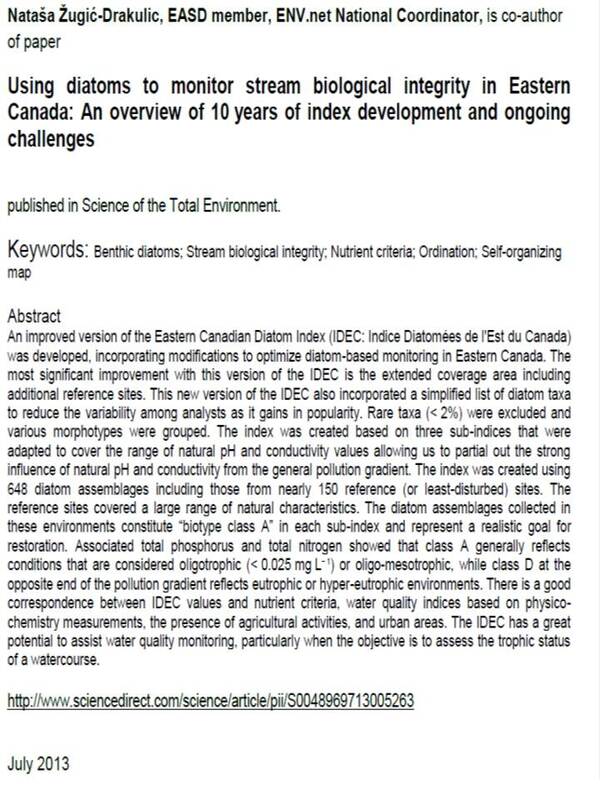 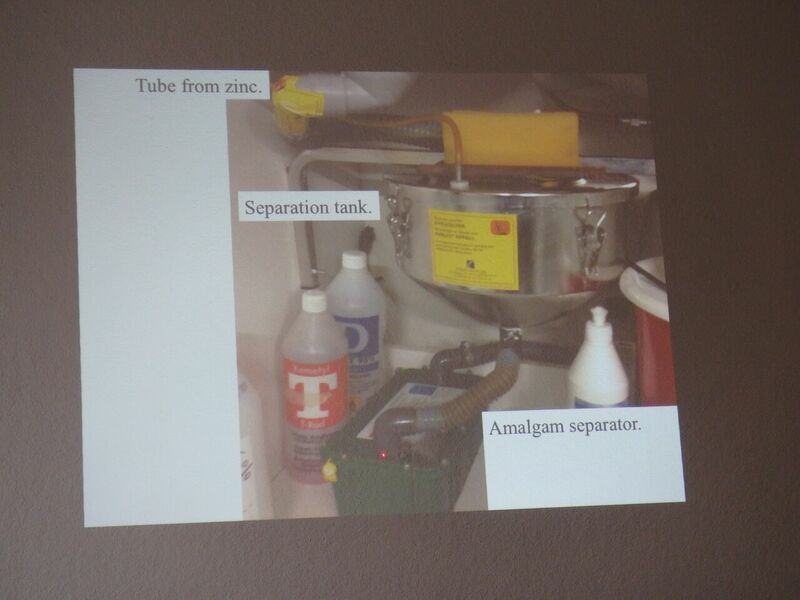 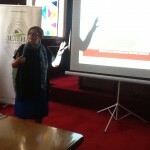 Her professional research experience is also connected to environmental issues. 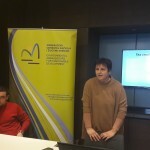 From 1998 to 2003, she worked as a researcher in the largest Serbian institution dealing with biological research, the Institute for Biological Research “Sinisa Stankovic”, on long-term research projects, financed by the Ministry of Science of the Republic of Serbia, in the field of animal ecology, biodiversity and environmental protection. 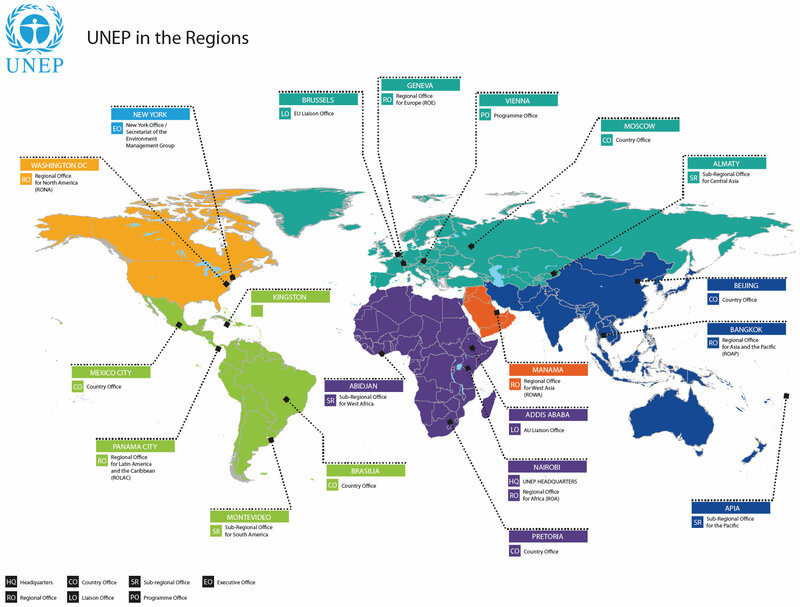 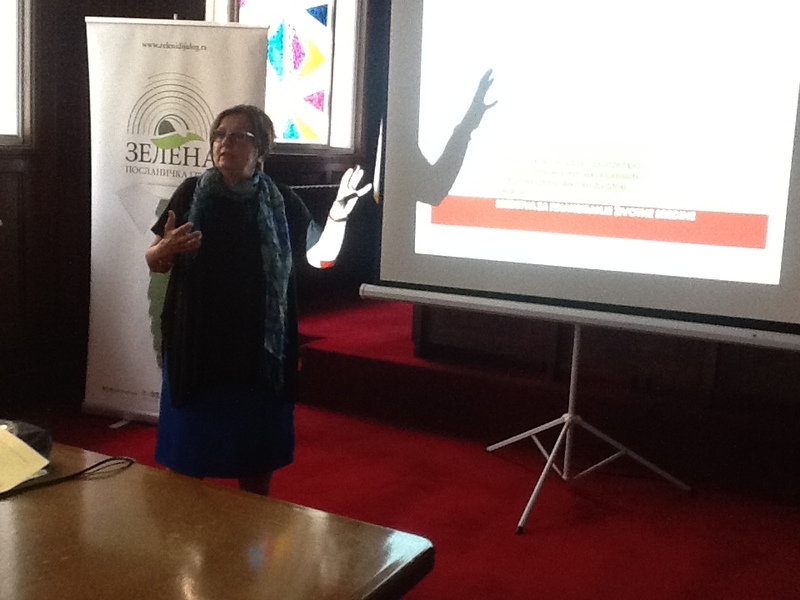 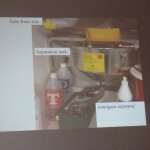 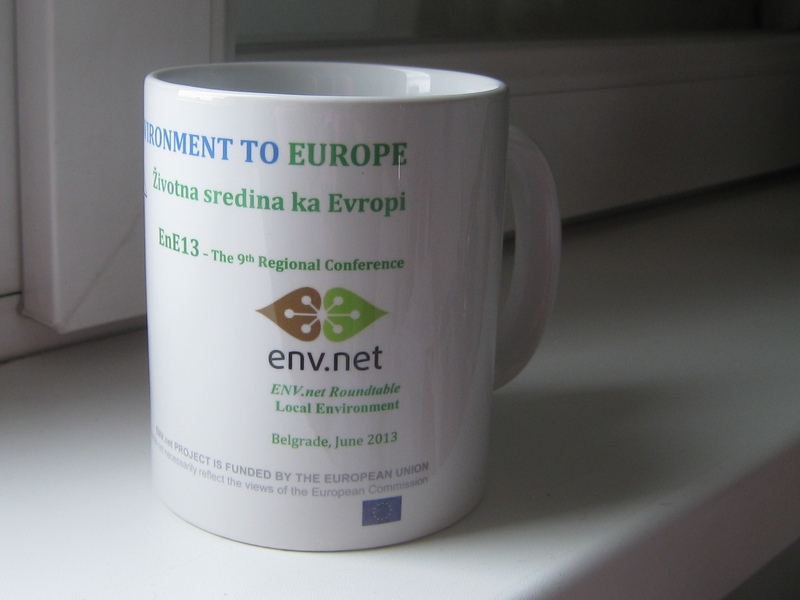 Most of the projects she has been engaged in during her work in the Regional Environmental Centre for Central and Eastern Europe (REC), Country Office Serbia (from 2003 to 2009), were also connected to environmental protection and biodiversity. She gained huge experience and specific knowledge working with local communities and public institutions in Serbia, Bosnia & Herzegovina, Montenegro and Croatia. 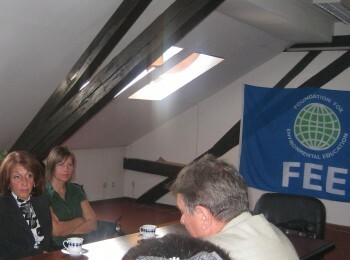 Aleksandra was engaged as local consultant in more projects related to biodiversity and nature protection, managed by international organizations such as ECNC (European Center for Nature Conservation), IUCN (International Union for Conservation of Nature), UNDP (UN Development Program), REC (Regional Environmental Center) and WWF (World Wide Fund for Nature). 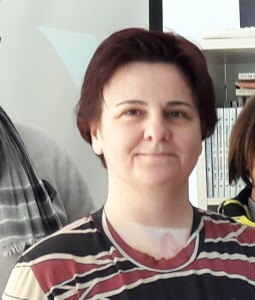 Born in 1971. in Gornji Milanovac. 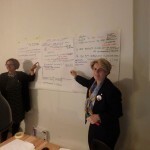 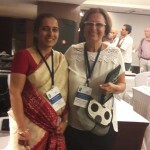 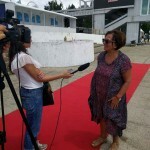 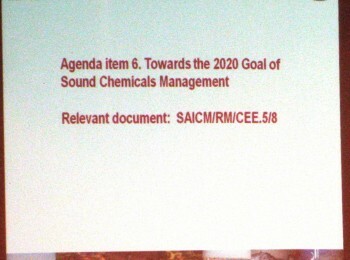 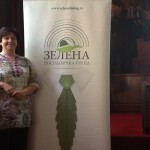 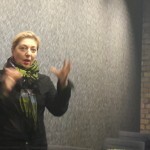 To note that Aleksandra is the 2nd elected President of “Environmental Ambassadors for Sustainable Developments” ( The first President was Andjelka Mihajlov, from organisation establishment until 2014; from 2014 to 2017 organisation was without President and organisation legal representative was executive director). 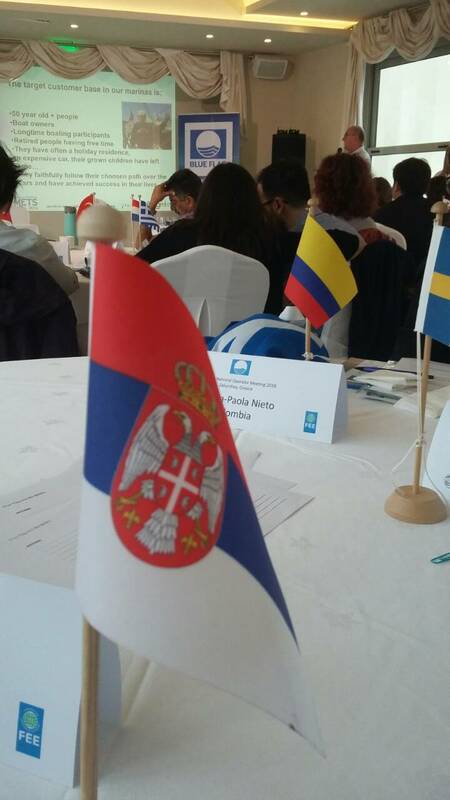 November 27, Workshop moderated by FEE Serbia (EASD), Radisson Blu Old Mill Hotel: Is the tourism in Serbia on the sustainable development path? 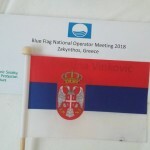 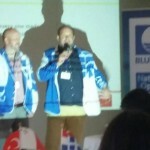 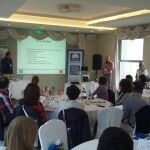 Blu Flag and Green Key programs presented. 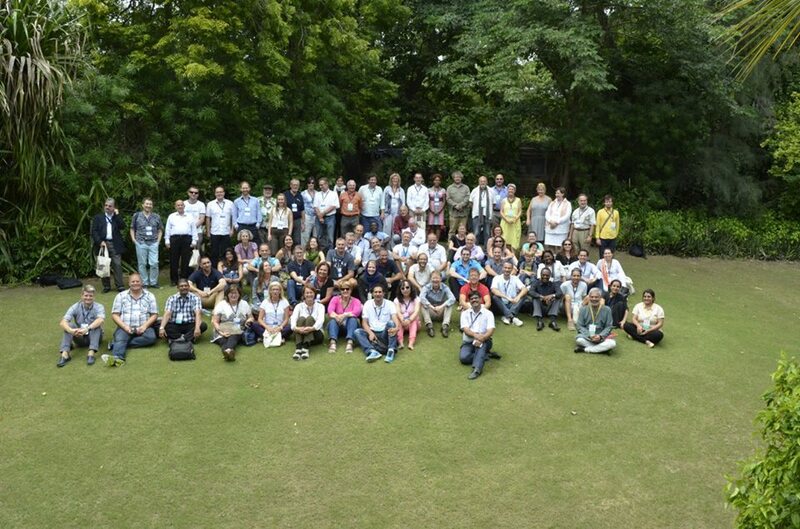 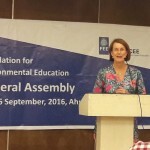 The Foundation for Environmental Education (FEE) is holding its biennial General Assembly on 15-16 September in Ahmedabad, India. 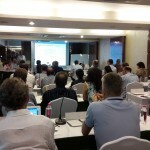 At the assembly sessions, member organisations from 75 countries are discussing the most recent developments in FEE and elect new President and Board of Directors. 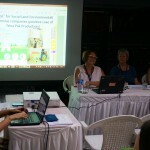 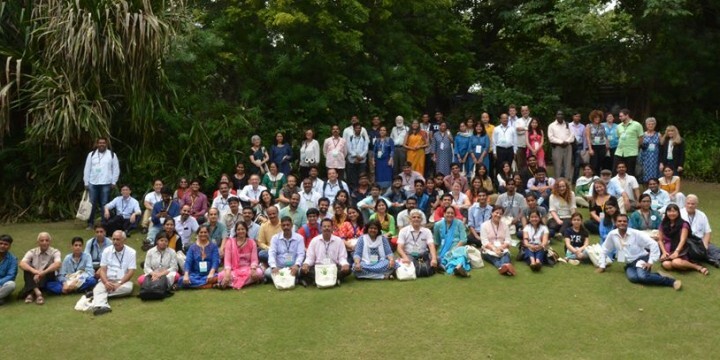 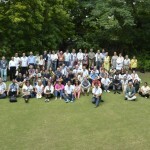 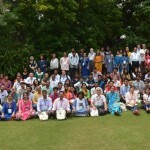 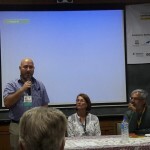 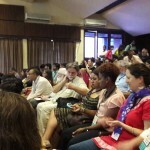 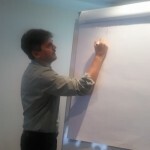 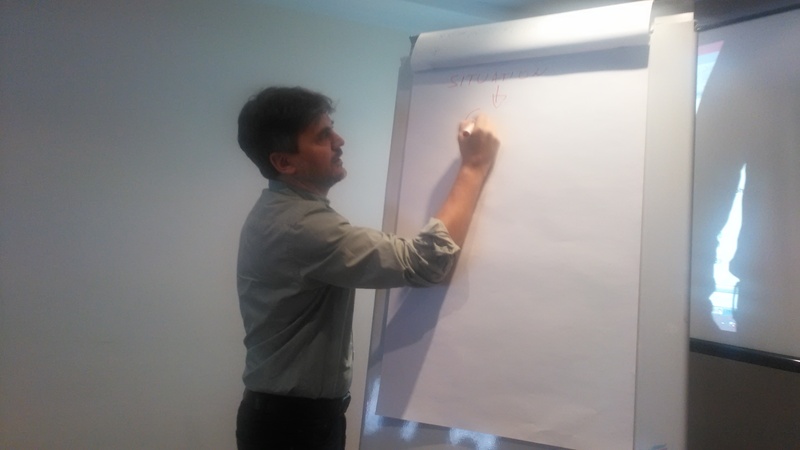 The General Assembly is arranged and hosted by the Centre for Environment Education (CEE) India, FEE’s Associate Member in India. 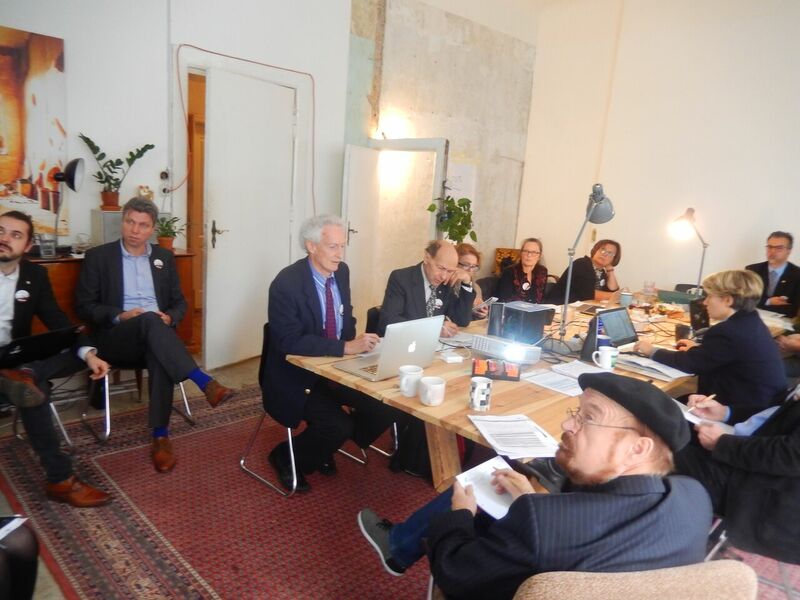 The first two assembly sessions is addressing the latest developments and strategic planning for FEE and its five programmes, whilst at the Members’ Forum sessions, members are having the opportunity to join workshops on the implementation of programmes, projects and campaigns. 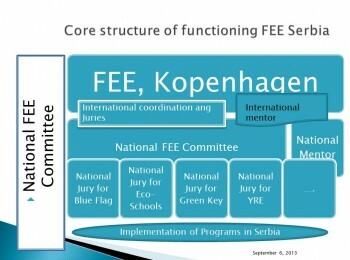 15 new organisations are to be confirmed as members of FEE. 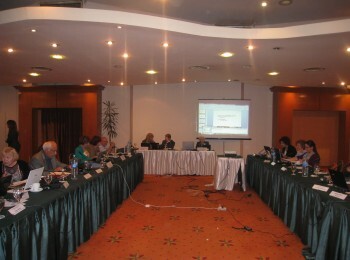 EASD, as the FEE member organisation, participate at FEE General Assembly, presented by honorable president. 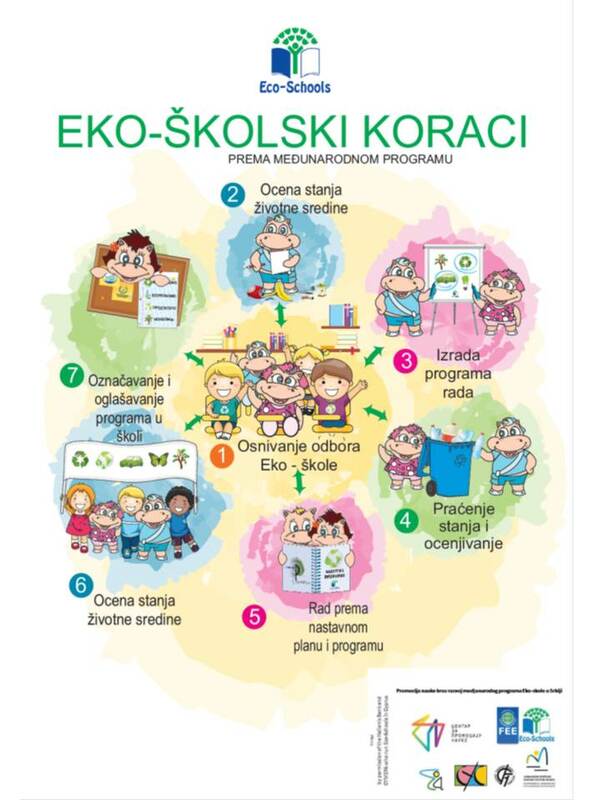 The assembly will be followed by the CEE Conference on ‘Education for Sustainable Development (ESD) for Transforming Education for Children and Youth’, 16–18 September 2016. 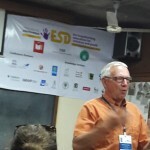 The Conference aims at bringing together global experience and expertise to highlight and strengthen the role of ESD. 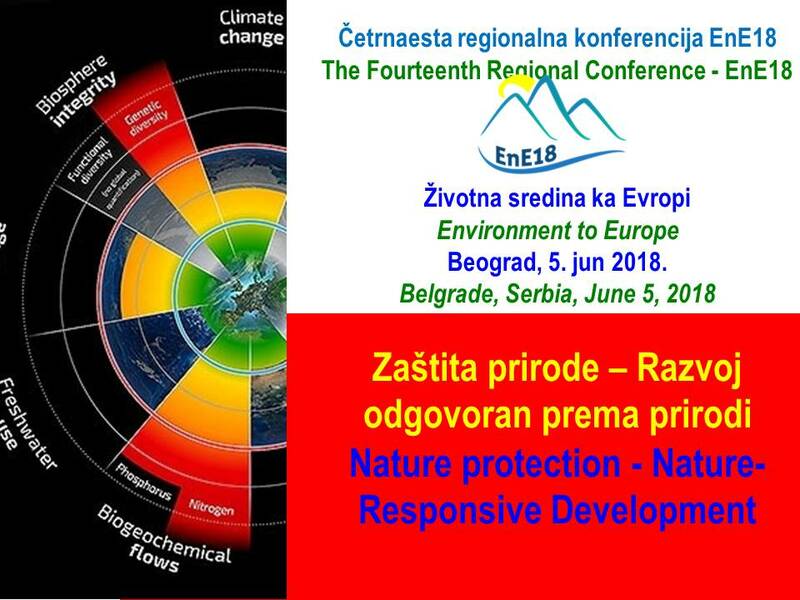 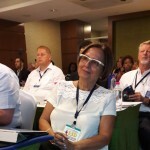 By invitation, EASD honorable president Prof dr Andjelka Mihajlov, is presenting paper Education for Sustainable Development in practice: Eco-Package program in Serbia and SEE region (Presentation ). 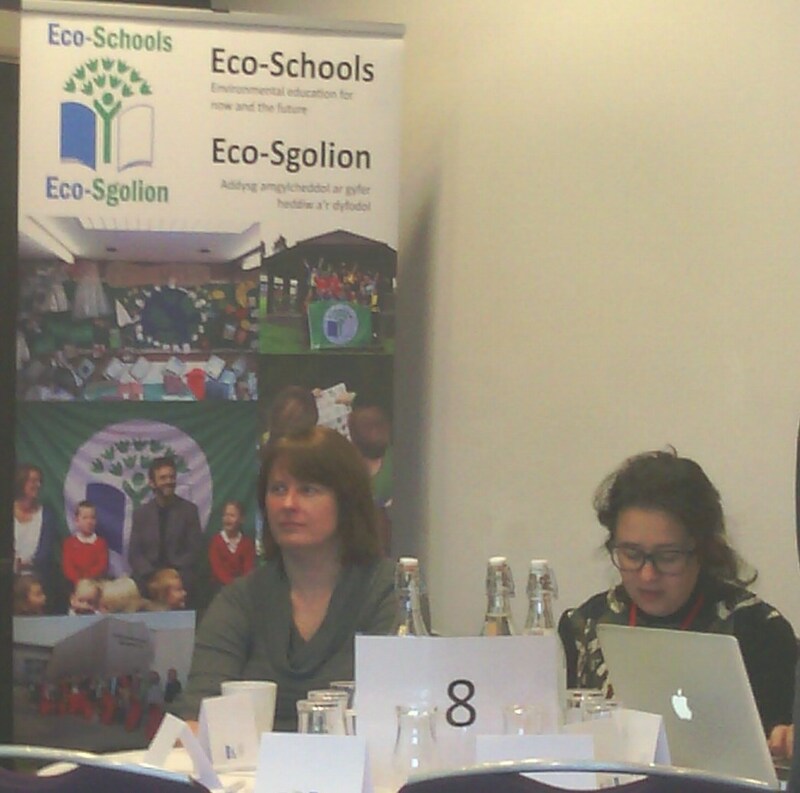 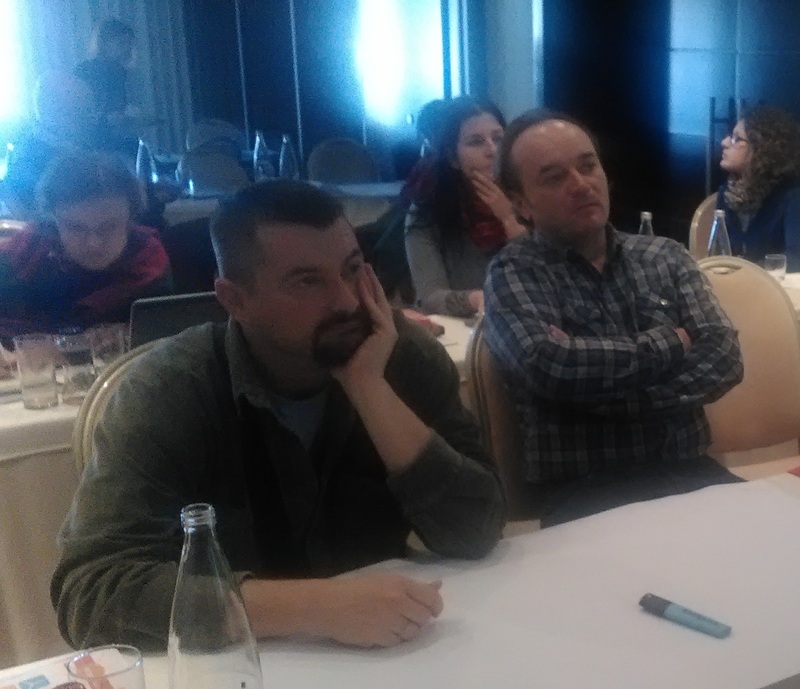 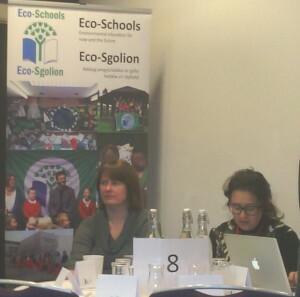 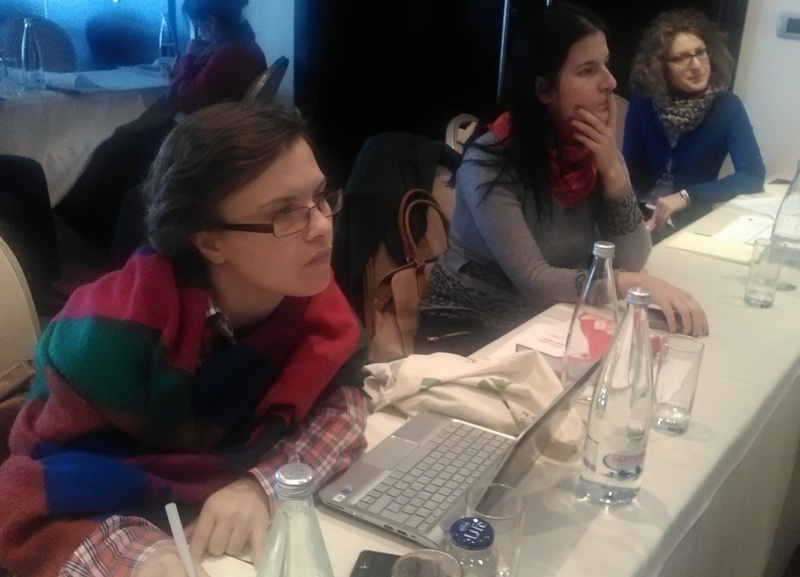 Aleksandra Mladenovic, National coordinator for Eco-schools program in Serbia participated at ES NOM 2015 (the biggest for Eco-Schools) happen! More in Serbian , and on the ES International web page . 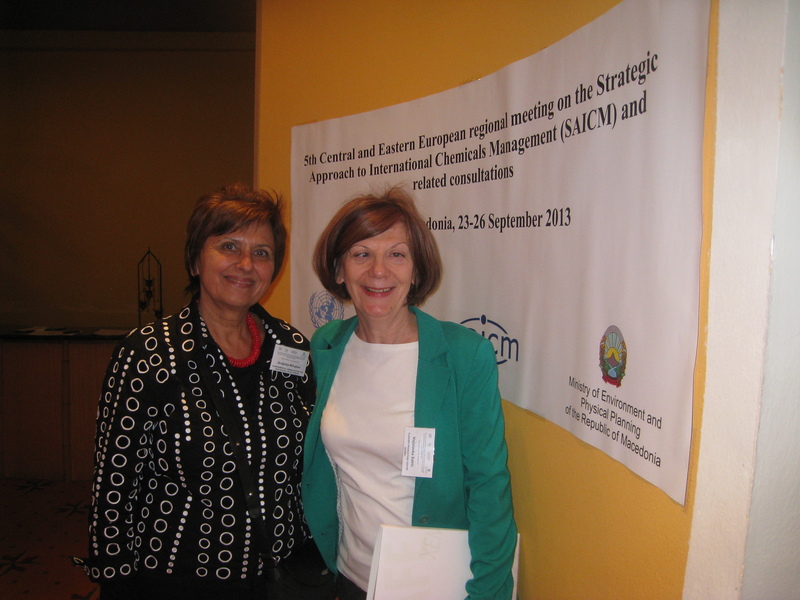 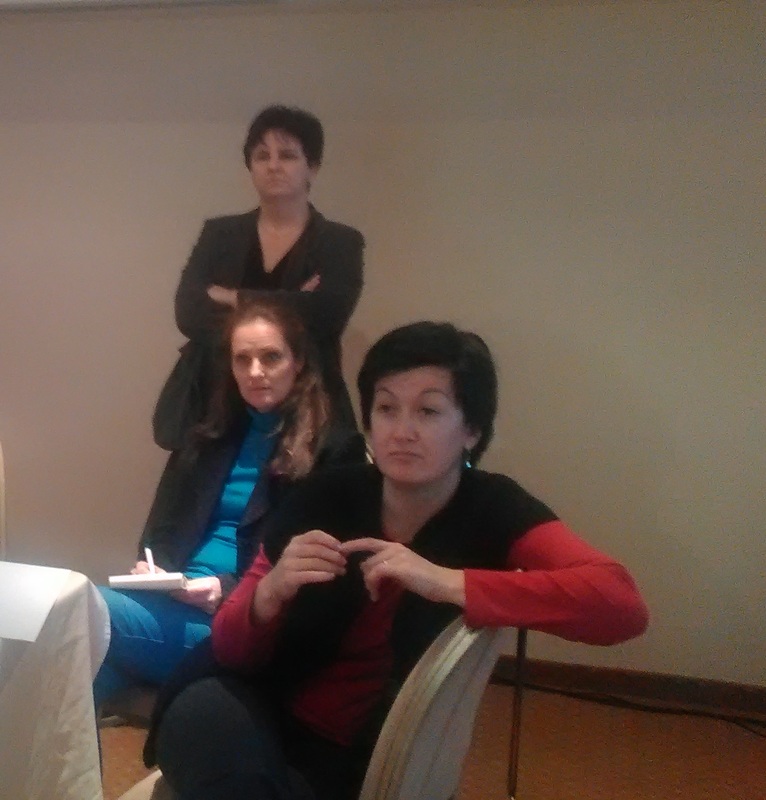 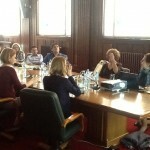 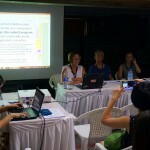 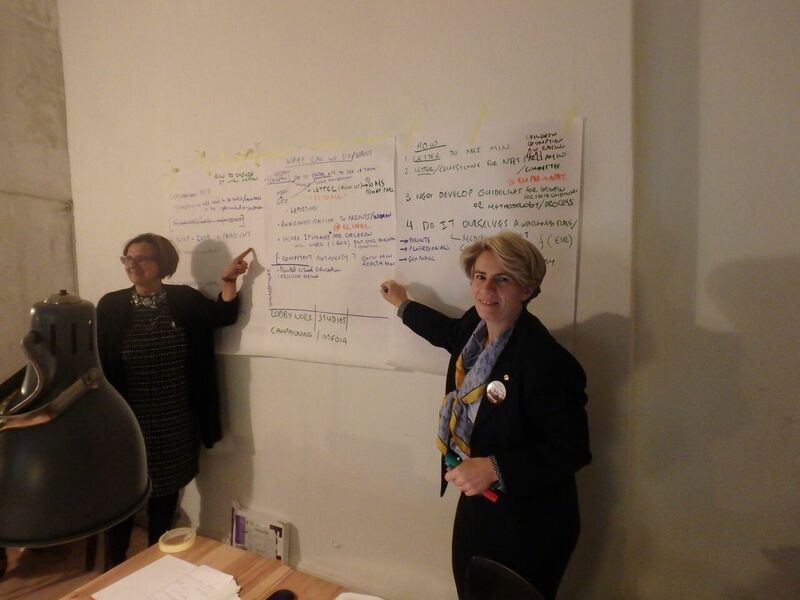 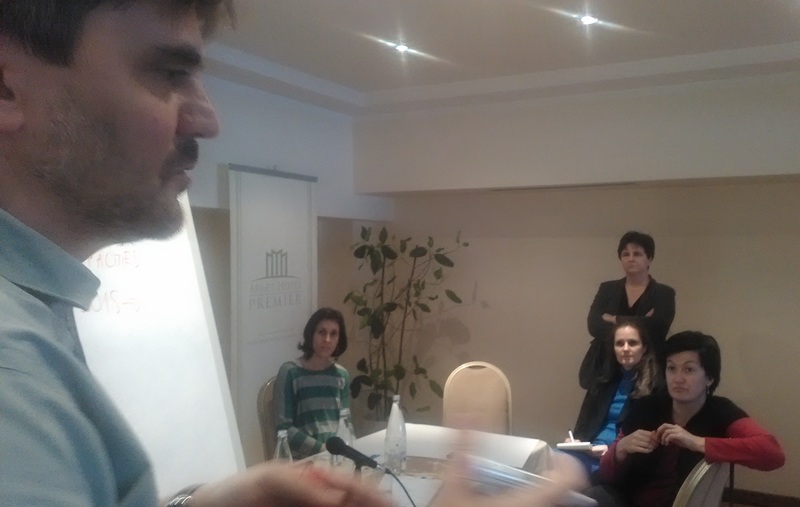 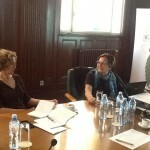 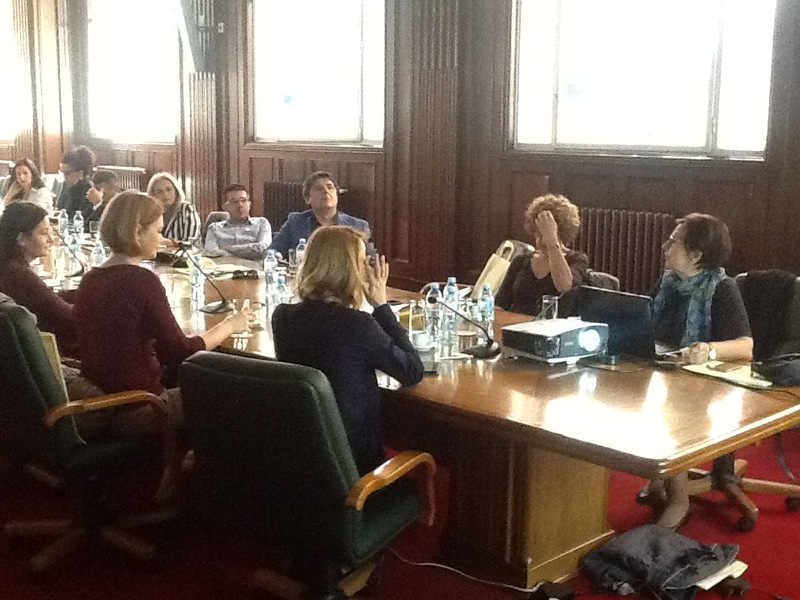 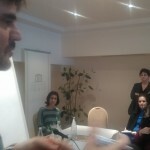 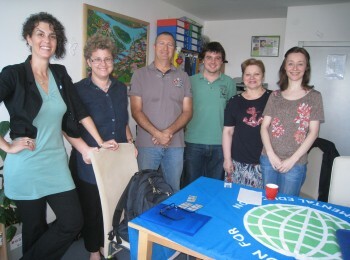 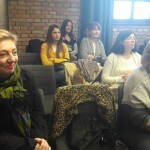 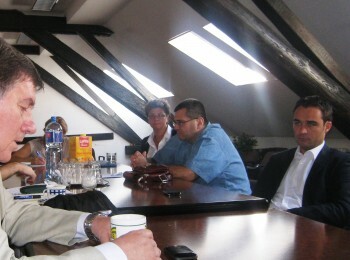 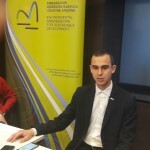 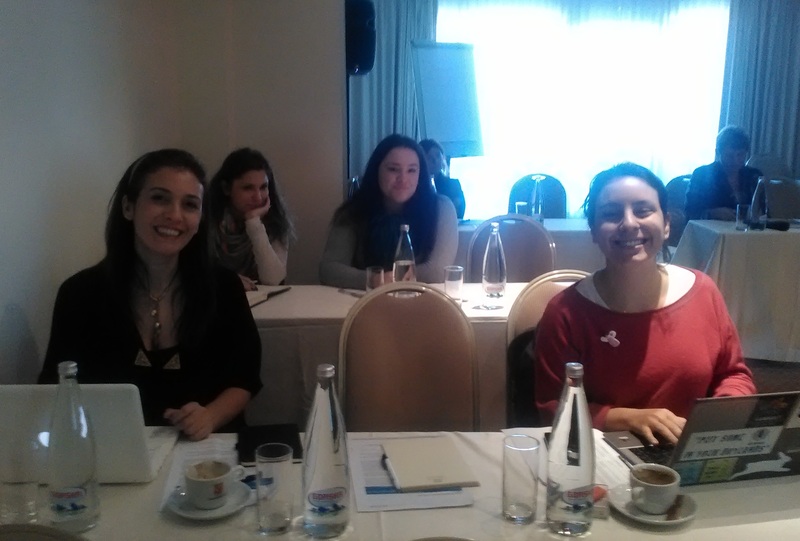 On April 29, 2014 in Istanbul-Turkey, EASD experts (Andjelka Mihajlov – National FEE Mentor, Nataša Žugić-Drakulić and Hristina Stevanović-Čarapina, members of FEE National Committee) had a meeting with Riza Epikmen, FEE International Mentor and member of FEE Board of Directors , related to the process of the upgrading the Environmental Ambassadors for Sustainable Development status . 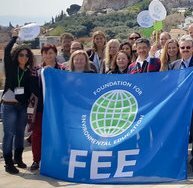 FEE Board of Directors great news for EASD!!! 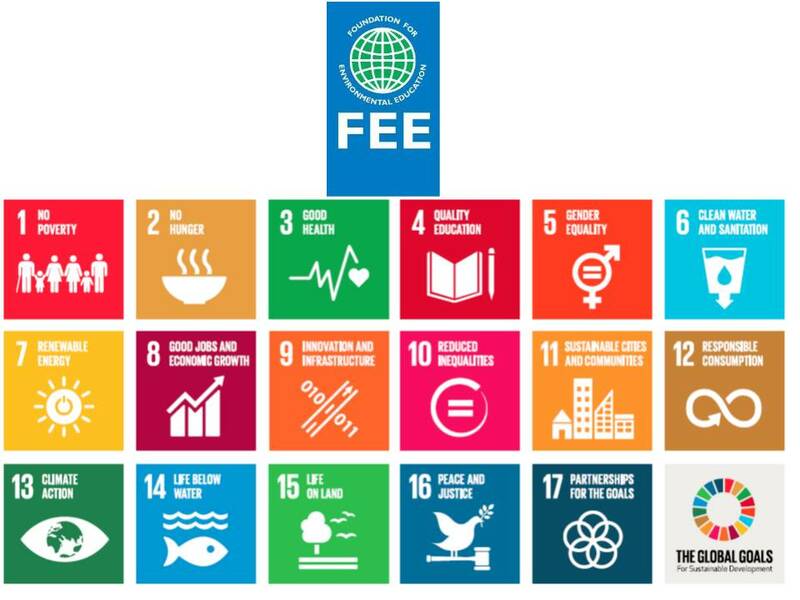 Great news: at the 10th of April FEE Board of Directors meeting held in Copenhagen decided to upgrade Environmental Ambassadors for Sustainable Development to a Full FEE member. 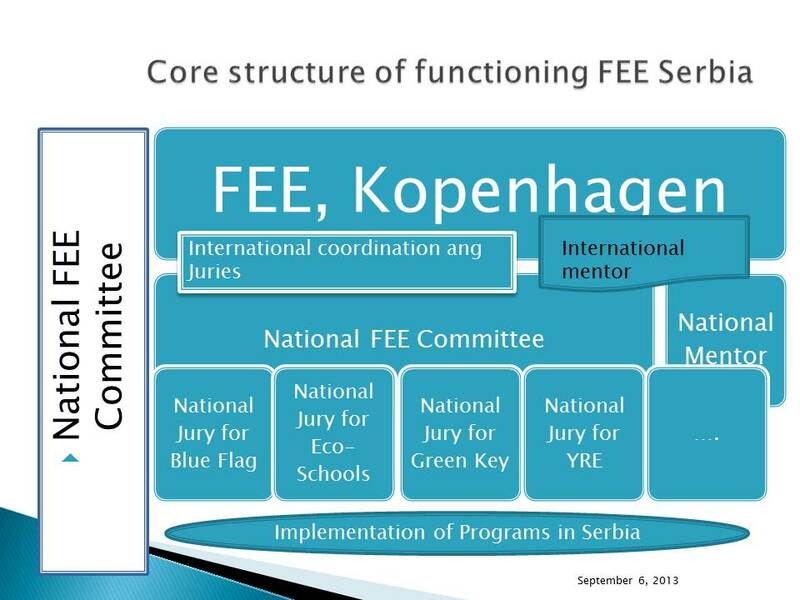 This decision will be voted on at the FEE General Assembly as required for final approval. 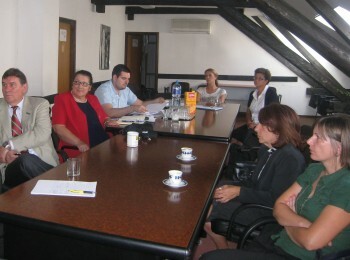 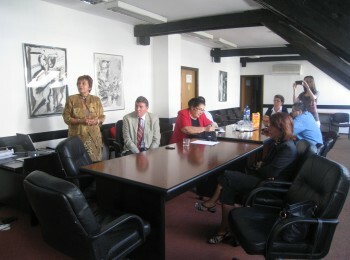 The Constitutional National FEE Committee Meeting was held in Ministry for Education, Science and Development of Serbia, on September 6, 2013. 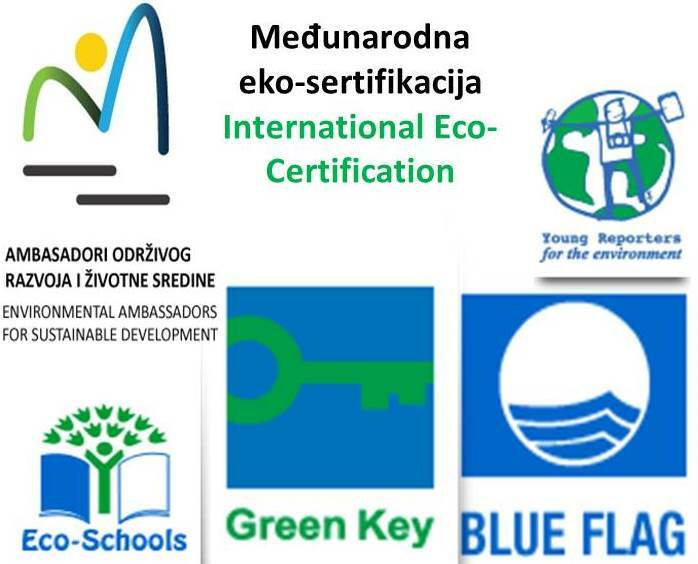 Strategic decisions are approved, like starting Green Key and Young Reporters for Environment, approval of the first 3 Green Flags for Eco-Schools, as well as the rule s for Committee functioning. 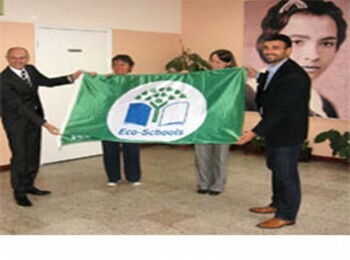 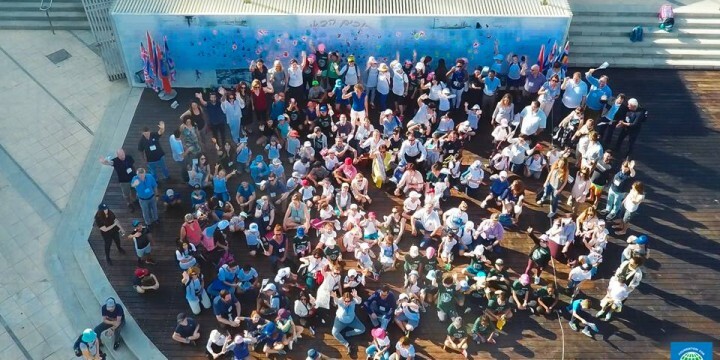 In 2012/13 one elementary school and 2 pre-schools applied and Eco-Schools Program is in the process to be applied in these schools. 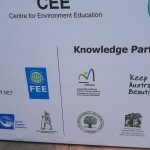 This program is within FEE – Foundation for Environmental Education educational signals and courses. 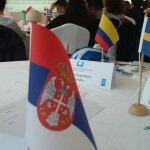 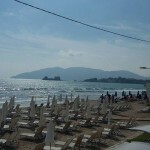 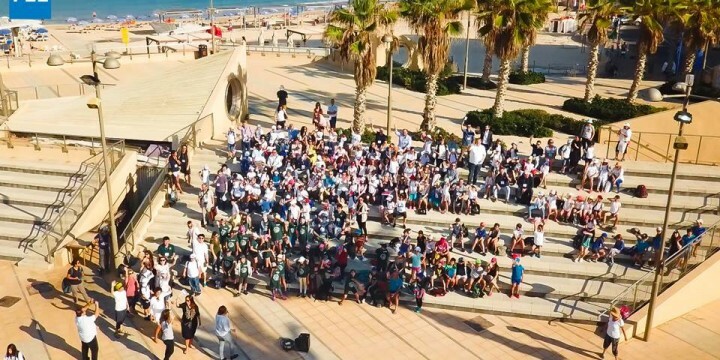 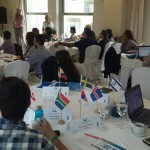 Summer schools , organized by EASD are good examples of education for sustainable development.